"Murphy's Law of GPS states that: Your GPS will not Break until you Need it the Most." 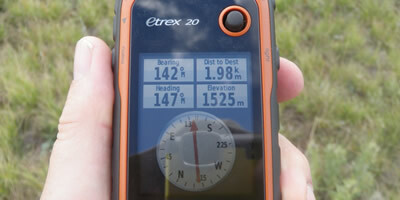 GPS Receivers are an Excellent Navigation Tool. These Navigation Tools help us to quickly find our position, avoid backtracking, and help to stop us from becoming lost. It is best to think of a GPS Receiver as just another tool that should be added to the "Navigators Toolbelt" not as a replacement for the two most important tools in your Navigators Toolbelt; a Topographical Map and a Magnetic Compass. The OpenStreetMap is designed to create and provide free geographic data such as street maps for everyone. Most maps actually have legal or technical restrictions on their use, holding back people from using them in creative, productive, or unexpected ways. Open Streetmap is designed to avoid this restriction. Many corporations produced GPS devices and receivers for many purposes. 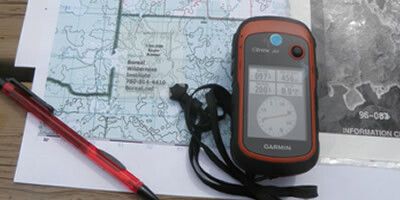 The best producer of handheld GPS Receivers for use in the wilderness with a Topographical Maps and Compass in Garmin. Garmin GPS are widely available, just remember to buy GPS for the actually purpose you are going to use it for and skip the extra and often expensive bells and whistles. All modern Wilderness Navigation Courses and GPS Courses should integrate together the use of GPS Receivers with the Sighting Compass and Topographical Maps. All three components are now basic safety gear for anyone planning to travel the wilderness safely. It is also important to note that the Wilderness Navigation does take time and practice to master, don't sell yourself short by taking a very basic short course.